You need to customzie the System Integrity Protection feature in Mojave. iHoldem Indicator will NOT hurt your computer. It just needs some extra functions in order to run properly. No worries. 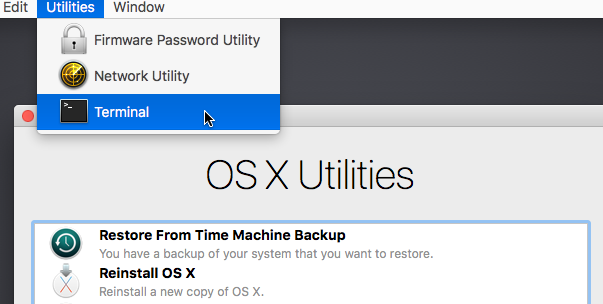 Reboot your Mac into the Recovery OS first: Restart your Mac, holding Command and R key, until the Apple logo appears. Then select Terminal from the Utilities menu. It will look like below. Type csrutil enable --without debug in the window that opens. 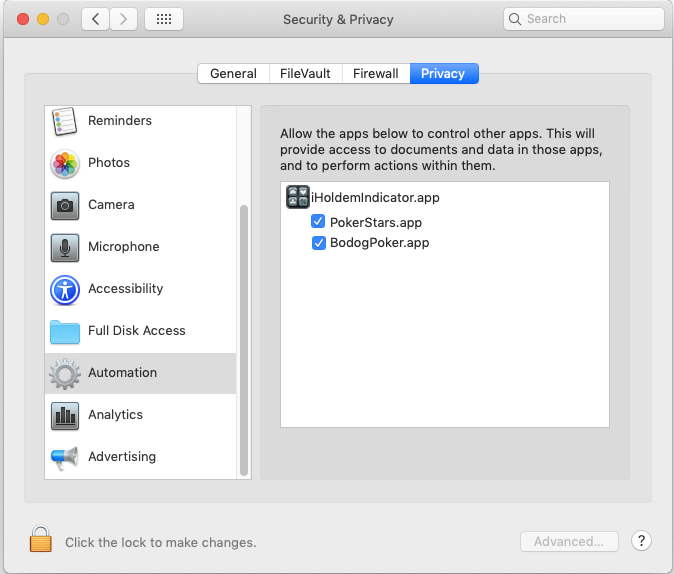 This turns off the part of System Integrity Protection that iHoldem Indicator needs to run, and Mac complains that it is an unsupported configuration. Reboot your Mac again then you can run iHoldem Indicator properly as you do with other Mac OS versions. Make sure you click "OK" when you see the popup message below. After that you should have the right settings as below.